Are Holiday Scents Making You Sick? Synthetic smells are made with blends of chemicals-sometimes hundreds of them per candle. Some people have sensitivities or allergies to these chemicals. In these cases, when the chemicals enter the nose or airways, they can irritate the tissues, causing miserable symptoms. If you really love candles, though, there may be a way to enjoy their benefits without the drawbacks. Try candles that are flameless and scent-free. (Yup! They’re in stores!) That way, you still get the cozy, homey feel of a candle without the irritants. As additional perks, you can avoid the drippy wax and the fire risks, too. Opt for candles that contain essential oils. They smell nice and are often easier on the body than synthetic fragrance items. Choose single-scent candles. Note that some candles contain multiple scents, increasing your risk for reactions. By process of elimination, you may be able to find one or two one-scent candles that your body can tolerate. About one in five people reports unfavorable reactions to scented items. For people prone to asthma, the number increases to about one in three. And while staying away from the occasional candle may be enough for some people, contact AllergyEasy if allergic reactions to smells or other allergens are consistently compromising your health. You may benefit from allergy treatment. 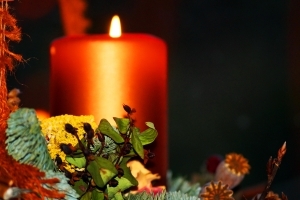 Allergy Easy > Allergy Information > Are Holiday Scents Making You Sick?